The Met Gala is undoubtedly New York City's most glamorous yearly affair and this year was no different. Celebrities came dressed to the theme of Manus X Machina, a mix of man and machine. We saw human robots with chrome arms à la Bucky, The Winter Soldier on Zayn Malik and a light-up ballgown on Claire Danes that gave us serious Disney princess goals. While some outfits stood out on their own, other celebrities were more creative with their accessories. Here are some subtle details we managed to catch on the carpet that we missed at first glance. 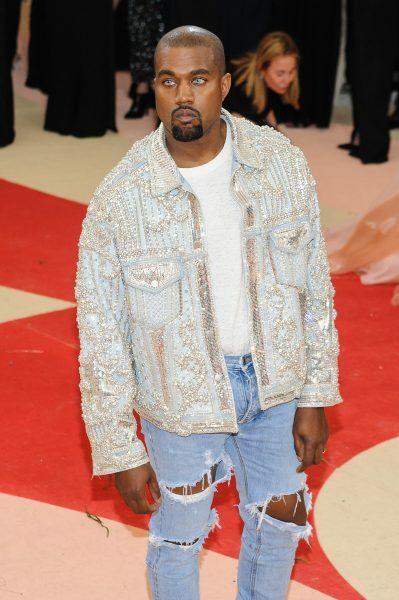 While not easily noticeable from afar, close up shots of Kanya West have revealed that Yeezy was wearing pale blue coloured contacts at The Met Gala. What’s next? Could celebrities take on the coloured circle lens trend that has been huge in Singapore over the years? That’s definitely something we’d be interested in seeing.